In my previous blog post, I described my personal journey in establishing a home yoga practice. In this post I examine three sutras that relate to that experience. The obstacles that we all face when trying to establish a home practice are outlined by Patanjali in Sutras 1.29 – 1.31. Leaving aside the God aspect, this sutra tells us that there are impediments to self-realisation – or obstacles, in our path on the yoga journey. It is a given. It is normal. Every ordinary person who tries to practise yoga will be confronted by obstacles. In my attempt to practise, I was coming up against a wall of mental obstacles, as predicted by Patanjali over 2000 years ago. It can be a relief to know that the difficulties we experience in trying to practise yoga are completely normal for the ordinary person, including those trying to practise thousands of years ago. There will always be impediments to our practice, it is an age-old problem, but they can be overcome. This sutra lists a number of conditions which cause the mind to be distracted, making it impossible for the student to stick with their yoga practice, and “this distracted condition of the mind in which it is constantly flung about in all directions away from the centre is called Viksepa” (Taimni, 1961). As explained by Taimni (1961), the average person has two major attributes or features that makes it especially difficult to maintain a sustained yoga practice. The first is lack of purpose. Many people drift through life without a particular direction. When they do decide to pursue a particular goal, they are easily thrown off track by impediments or obstacles. This is because they lack a developed concentration of purpose that allows them to go on pursing an objective relentlessly until it is achieved (Taimni, 1961). The second attribute of mind that makes it difficult to establish a yoga practice is that the mind of the ordinary person has the tendency to run outwards and to keep itself busy with the objects of the outer world. The purpose of yoga is to withdraw the mind from the outside world to the inside. If a yoga student is to progress in yoga then they must learn to harness the wandering mind and turn it inward (Taimni, 1961), and this is extremely difficult to do because the mind has a natural reluctance to go inwards. It is hard work. Given we all have these two traits, it then makes the following nine obstacles even more difficult to surmount. Disease Disease is a hindrance because it draws the mind repeatedly to the physical body, making it difficult to keep the mind turned inward. We are all familiar with ourselves or others saying ‘I can’t do yoga because I have a sore knee, back, neck, etc’. Previous broken or dislocated bones have impeded my practice in some way. Good health is required to be able to follow the yogic path which is why we start by trying to address our ailments. Lack of interest or sluggishness, languor The student may have a healthy physical body but lacks nerve power and so always feels sluggish and is not interested in work requiring exertion. Taimni (1961) labels this condition as ‘chronic fatigue’. Whilst Taimni doesn’t apply this label in the medical sense, it is interesting that he used the term over 55 years ago, suggesting that it is a psychological condition stemming from either a lack of a definite purpose in life or a defect in the Pranamaya kosa resulting in a lack of vital life energy – prana. The obstacle of languor will undermine all efforts to practise yoga (Taimni, 1961). As a yoga teacher, I have noted this condition in some students. It is difficult to energise these people, since even though they may hear what is said in class, it is as if they are not listening. They do not respond quickly to the teaching. Lingering doubt Depression and doubt comes in the path of every aspirant (Taimni, 1961). It is normal. Questions arise such as: Is yoga really effective? Do I really want to do yoga? Is it worth the effort? To succeed in yoga it is necessary to acknowledge that doubts arise but ignore them anyway until they pass. If the student dwells on doubts then yoga sadhana (study) will be interfered with and efforts will wane until the aspirant gives up. I often have doubt about what I am in doing in yoga and it can distract me away from being determined to practice. However, the other side of the coin of doubt can be inquisitiveness. When doubts arise about a particular asana, pranayama or method (e.g. should I really be doing it this way?) then I find being inquisitive and exploring the asana further by experimenting with props, shapes, timing etc helps to overcome doubts. Pride or carelessness Carelessness has the effect of relaxing the mind thereby undermining its ability to concentrate. It “is a weakness which prevents a man from achieving eminence in any line of endeavour and condemns him to a mediocre life” (Taimni, 1961, p 79). In yoga however, carelessness or pride are worse in that these aspects can lead to injury if left unchecked. I have injured myself with yoga due to heedless overdoing. The new injury then becomes an obstacle to further progression in practice. Pride comes before a fall. Idleness, laziness Idleness or laziness causes the mind to be distracted. Taimni (1961) states “…it results in the same kind of ineffectiveness in life as in the case of languor it is yet different. It is a bad mental habit acquired by continued yielding to the love of comfort and ease and tendency to avoid exertion” (p80). I was often lazy and craved the comfort of bed or the couch and television instead of the hard work and discipline of yoga practice. Years of potential practice time were wasted in this manner. Sense gratification The mind hankers after the objects of the world in order to gratify the senses. In modern life it is all too easy to be distracted by pursuits of career, wealth and social standing. I have often squandered precious practice time by simple things like fiddling with devices or answering the phone during practice. Of course the senses need to be gratified so there is enjoyment and joy in life. But there needs to be some balance where we can switch the senses off and not let them distract us from our task. Living in a world of delusion Delusion means taking something for what it is not, and it comes about from a lack of intelligence or discrimination. Some yoga students may that they have ‘out of body experiences’ as a result of practice, or even to swoon in pranayama and think that must be part of the journey inward. These experiences may be perceived as ‘real’ but are generally an indication that the practice is going wrong, causing the breathlessness or visions. These esperiences are not yoga. In my early years of yoga, I really believed I was a dedicated yoga student who was very knowledgeable about the subject of yoga since I attended classes regularly and had an able body that could create the shapes of asanas. Upon reflection, I was deluded. The more we learn, the more we realise how much more there is to learn.Creating the external shape of an asana doesn’t mean that the student is practising in a yogic manner. At times during our practice we make progress, at other times it is as if we have plateaued and no progress is made at all. These times of no progress can sometimes be lengthy and the student must persevere to continue until progress resumes. A lack of progress can be deflating and cause doubts; which are distracting. Cultivation of perseverance is required. During my 25 years of practice, perseverance has often waned. Sometimes I think it is all too hard, my practice begins to shorten and becomes what I call a ‘maintenance’ practice where I am not paying full attention for the practice to be ‘exploratory’. It reverts to mere exercise. These phases can last for months at a time until something shifts and again I return to a deeper, exploratory approach. With age, I have come to accept these phases as cyclical and perhaps even a necessary facet of practice. Inability to maintain the progress attained due to pride or stagnation in practices In all pursuits, some reversion is normal. We are all familiar with the phrase ‘one step forwards, two steps backwards’. Once we have learnt or attained something, there is a tendency to lessen the practice of that task or pursuit because we know how to do it. This leads of course to backsliding, reversion. We lose proficiency precisely because we attained it, and our practice stagnates. I experience this obstacle almost daily and it presents itself as pride. After 25 years of practice, my knowledge and ability of many aspects of yoga is such that I think that I know them so I practise them less often, only to realise that when I do return to them I can no longer do them well. The adage ‘use it or lose it’ is pertinent here. In addition to the nine obstacles mentioned in sutra 1.30, there are four more: Sorrow, despair, tremor of the body and irregular or laboured breathing which all cause distractions agitating the mind and consciousness (Iyengar, 1993), thereby preventing concentration on the yoga path. These can be considered to be not only causes but symptoms of distraction. Their presence itself signals or indicates Viksepa, the distracted condition of the mind (Taimni, 1961). During grief it is extremely difficult to practice because the mind keeps being drawn outwards to the cause of the grief. I see anxiety and tremors in many students and they have great difficulty in staying focussed. 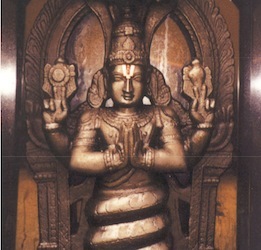 To overcome these thirteen impediments, Patanjali gives several methods including the requirement to turn the mind inward and keep it there (see Sutra 1.32). Assiduous practice of the eight limbs is one technique. In my next blog post, I give several tips for establishing a home yoga asana and pranayama practice, which are two of these eight limbs.